Ocean Properties, Inc. is a full service property management company, who along with its sister company Ocean Development, Inc. currently manages over 1300 units in South Los Angeles. The principals of the company truly believe in their business model, as they have ownership interest in over 150 of the managed units. They have assembled a talented office staff specializing in managing Section 8 units, as well as providing superior service to their investors and tenants. 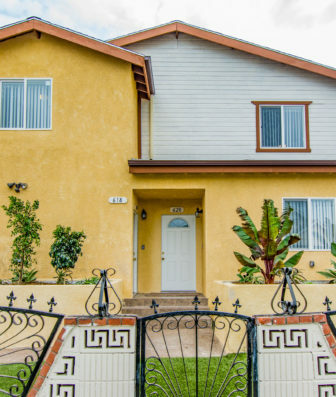 The Company’s current managed properties primarily consist of four- and five-bedroom duplexes, which are in great demand in South Los Angeles, due to the large shortage of housing. In addition, the managed properties qualify under the Housing and Urban Development’s (“HUD”) Section 8 program. Under this program, eligible tenants pay approximately 30% of their gross income toward rental payments with the remaining portion being subsidized by HUD. Ocean Properties, Inc. strives to continuously achieve its goal of providing affordable housing while maintaining the highest quality homes. This approach contributes to a positive experience both for our investors as well as our tenants. The quality of our units is far superior to the current competition and has never before been seen in South Los Angeles. From granite countertops and custom-made cabinetry to forced air heating and designer vanities, these units offer the type of amenities residents are proud to have in their home. The aforementioned amenities are not Section 8 requirements; however, we strive to exceed minimum requirements in order to provide tenants with an enjoyable living experience. Our projects are built with rental management in mind to provide easy maintenance and long term efficiency, while still maintaining the utmost in quality and style. We are constantly updating interior layouts in order to satisfy the ever changing modern family needs. © Copyright 2019 Ocean Development, Inc. All Rights Reserved.